Having proved himself in the jazz milieu of Kansas City, in 1960 the 24-year-old trumpeter Carmell Jones (1936-1996) quit his job as a railroad porter and moved to Los Angeles in search of full-time work in music. He was quick to impress bassist Red Mitchell, alto saxophonist Bud Shank and tenor saxophonist Harold Land. His recordings with them, with Gerald Wilson’s big band, and later with Art Blakey were to bring him attention and acclaim. 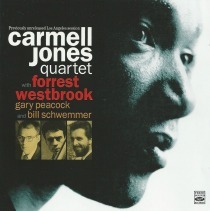 Shortly after his arrival in L.A., Jones worked in a quartet with other emerging musicians—pianist Forrest Westbrook, bassist Gary Peacock and drummer Bill Schwemmer. 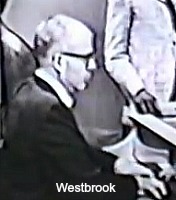 Westbrook’s apartment served as a studio where he recorded their rehearsals on a reel-to-reel stereo tape machine. For 55 years, those tapes were unheard by anyone but the musicians and Westbrook’s family and friends. Following Westbrook’s death last year at 87, his daughter Leslie told Jordi Pujol of Fresh Sound Records about the tapes. The result is an album that finds Jones with the imagination and verve that led jazz expert John William Hardy, photographer William Claxton and critic Joachim-Ernst Berendt to issue enthusiastic reports about him after they heard him in Kansas City. Now, we hear Jones in his early west coast days, eleven months before The Remarkable Carmell Jones, his first released Pacific Jazz album as a leader. Peacock, at 25 a veteran of work with Shank, Don Ellis, Shorty Rogers, Barney Kessel and Paul Horn, was deep into the characteristics of technique, timekeeping and harmonic mastery that were to take him to the top levels of jazz, including his three decades in the Keith Jarrett Trio. “His development,” Shank told me in 1998, “was phenomenal. He turned into one of the most creative bass players that ever happened.” Drummer Schwemmer, a friend of Peackock, has a lower profile. His time concept melds nicely with Peacock’s here, his cymbal work is noteworthy, and he has effective exchanges of four-bar phrases on several tracks. He evidently left active playing after the 1960s. Westbrook’s solos and accompaniments shine throughout the album. In that relaxed second take of “Willow Weep for Me,” he negotiates piquant intervals in the solo melody he creates. He simulates bent notes in a manner reminiscent of Jimmy Rowles, a contemporary whose work Westbrook no doubt knew. The rhythm section plays “Airegin” without Jones. Westbrook is astonishing on the Sonny Rollins tune. He brings together bent notes, unconventional intervals and keyboard touch in a range from delicate to dynamic. His headlong solo has stylistic allusions to Bud Powell and Lennie Tristano. Most of all, it communicates the sense of joy and discovery that illuminates a performance when a player is so inspired that it seems the music is showing the way, taking him along for the ride. There are other tapes in the Westbrook cache of jam session and rehearsal recordings. This CD is a valuable glimpse into Carmell Jones’s early musicial life. For many it will be a surpising introduction to Westbrook. It is encouraging to think that more music of this quality may remain to be discovered. Thanks so much for the articles on Tony Fruscella and especially Carmell Jones. I performed with Carmell numerous times in the 80s and 90s in Kansas City. So many great solos; he is certainly one of the overlooked great trumpet players. I still have my vinyl copy of Jazz Impressions of Folk Music, which he recorded with Harold Land. One of my favorite recordings: his solo on “Jumpin” At The Woodside” from the 1960s in Berlin. Thanks again! During the summer of 1983, I was in Kansas City for 5 days with my ex-wife and two sons. By sheer luck, I found out that Carmell had returned to his hometown and was working the club City Lights. Pianist Frank Smith was on the band, but I don’t recall the drummer or bass player. I was thrilled to hear Carmell, and we hung a bit and talked between sets. I still have the business card he gave me. He was primarily working as a piano tuner. A few years later, he did two nights at Pops For Champagne in my old hometown of Chicago. He was still killing and sounded just so wonderful His ballad playing really wasted me. That was the last time I saw or heard him. Just a great and hugely unheralded player. Thank you, Doug Ramsey, for this thoughtful and wonderful review. My heart is full and I am thrilled that you found my father, Forrest Westbrook’s, piano playing on “Airegin,” “astonishing” I am sure my father would have also been thrilled. I hope that your readers will order and enjoy these recently discovered recordings as well.